ATP 500 Queen´s Central Court has got bigger. More than 2,000 additional seats have been added to the current seating capacity of 6,651 and this year there will be 8,651 seats in total, which represents a 30% increase. An important improvement for an event that will have some of the best players in the world this year, with Andy Murray, Rafael Nadal, Stan Wawrinka and Grigor Dimitrov in the singles field. The tournament director Stephen Farrow spoke about the investments done. 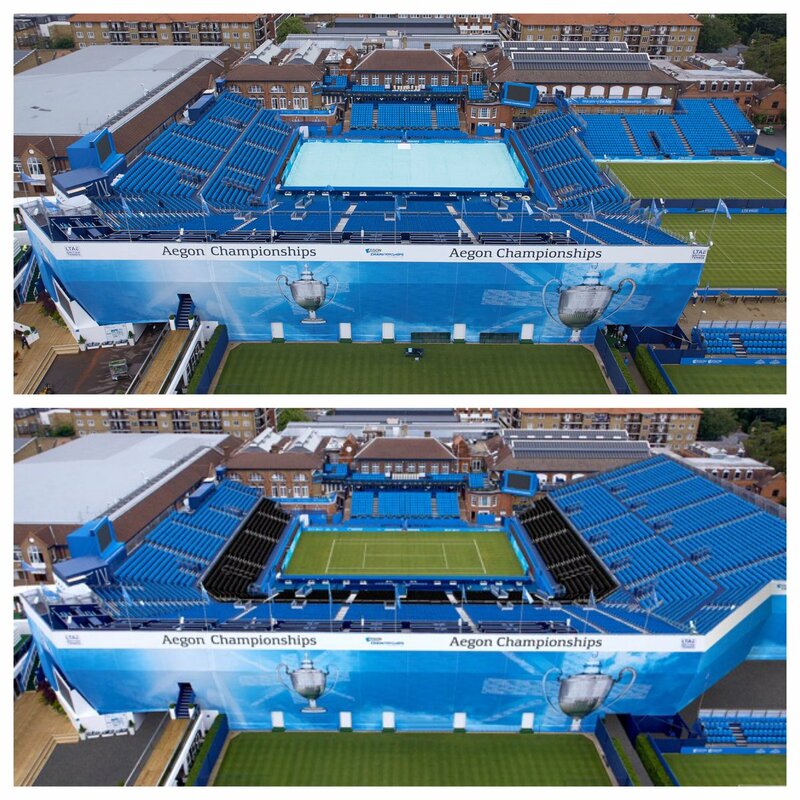 ´Work on the tournament never stops, we have been building towards increasing the capacity of the Aegon Championships for five years, and even during the tournament last year we were putting plans into place for the expansion. It was a big moment for all of us when the work finally got underway,´ Farrow told the tournament website. Farrow added: 'The question was whether the capacity of the stadium, which is built each year into The Queen’s Club over a six-week period starting at the beginning of May, could be increased within the finite space available at what is a working tennis club throughout the year. We needed to relocate Court One in order to build the expanded North Stand on Centre Court, consider the health and safety and security aspects, obtain all the appropriate licenses, consider what the rest of the tournament venue would look like, and factor in all of the other logistical aspects of a major event.' 8,000 tickets have been sold so far for the event that will take place from 19th to 25th June.